Remember back in 2009, a comedy hit our screens called Paul Blart: Mall Cop? No, neither did I. Yet it must have done some business because, six years later, we now get the imaginatively titled Paul Blart: Mall Cop 2. 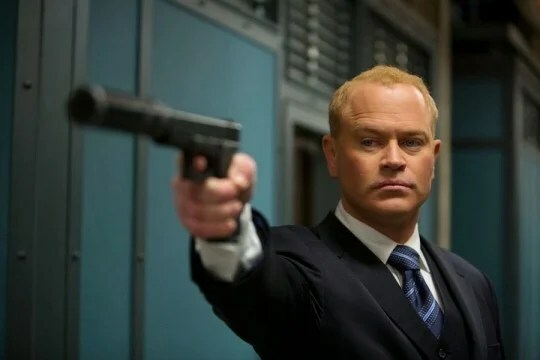 Yes, the hapless fellow who was a security officer for a shopping mall, who unintentionally outwitted a group of thieves gets to do it all again. This time, in Las Vegas. If you thought the first film was unfunny, wait till you see this. 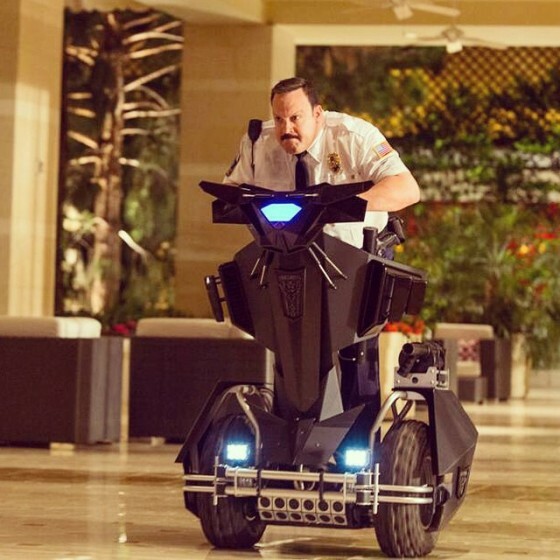 Paul Blart has been given an invitation to attend a security officers convention in Las Vegas. Along with his daughter, the pair head off to sunnier climes, where Paul believes he is going to be the guest of honour because of his heroics six years earlier. What he doesn’t realise is a group of art thieves are staying in the same hotel and have plans to steal all their great art exhibits. If you did see the original and are looking at the synopsis, thinking, it sounds like the first film, it is almost a carbon copy except in a different venues. Not only is the plot the same, the jokes are too. Each and every one of them as tiresome as the next. There’s even a rehash of the first movie’s biggest laugh, where Blart skids across the floor on his side, only to miss the object he was going to hide behind, forcing him to slowly drag himself backwards. How I didn’t laugh then and I certainly didn’t laugh now. The film lacks something that a good comedy needs: humour. The jokes are old hat, looking like rejects from the Pink Panther films. Slapstick humour, is performed well, can be painfully funny. It all depends of timing, understanding of the joke and pinpoint delivery. The slapstick here, which the film relies so heavily, is delivered like a blow to the head with a sledgehammer! It also doesn’t help that they are telegraphed miles ahead of time. Kevin James, reprising his role of the hopeless security guard, just doesn’t seem to understand subtlety. He thinks that you get a big laugh by playing everything huge, in a shouty sort of way. That because of his size, he can get away with dancing around like a drunken fool. It doesn’t work. In fact you feel more embarrassed for him than laughing at with him. You can see he wants his character to be the new Inspector Clouseau but it will never be. The rest of the cast look like they are only there for the cheque at the end of the day. Most aren’t given a chance to do anything at all, except stand there to allow James to prance around them. Although there is one joke that did get a laugh from me about a cape and a haircut. Having watched this directly after watching the dire Hot Tub Time Machine 2, I really didn’t know which film I hated more. I think Hot Tub won, mainly because I didn’t laugh at all during that shoddy piece. This also doesn’t offend the way that sequel does, although it does insult slapstick comedy that is almost as offensive. Was it worth the wait? Absolutely not. To say this is infantile is to insult infants!